Southwest Flight Attendant Makes Tiny Tot's Day! Traveling mom Heather Gooch’s Facebook post to Southwest Airlines went viral last week as she wanted to publicly thank flight attendant Anissa for her compassion and consideration during a flight her family took from Fort Lauderdale, FL to Islip, New York over the holidays last month. Heather was traveling with her husband and their 9-month-old son on the flight and as the flight took off the baby began to fuss and become antsy. 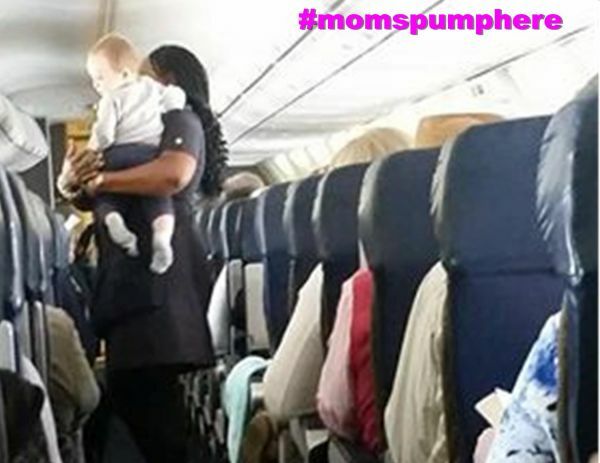 Flight attendant Anissa saved the day by offering to hold him and she then walked around the cabin with the infant. Gooch told CBS news, “It wasn’t any longer than ten minutes, but just to see how good she was with him and how happy he was waving to everyone really was amazing for us.